Organization is key, arranging all expensive or inexpensive purchases in R/C is important and certainly adds to convenience during travel and storage. With the rapid industry changes there are always new radios, chargers, electrical and miscellaneous items that need comfy and neat storage. 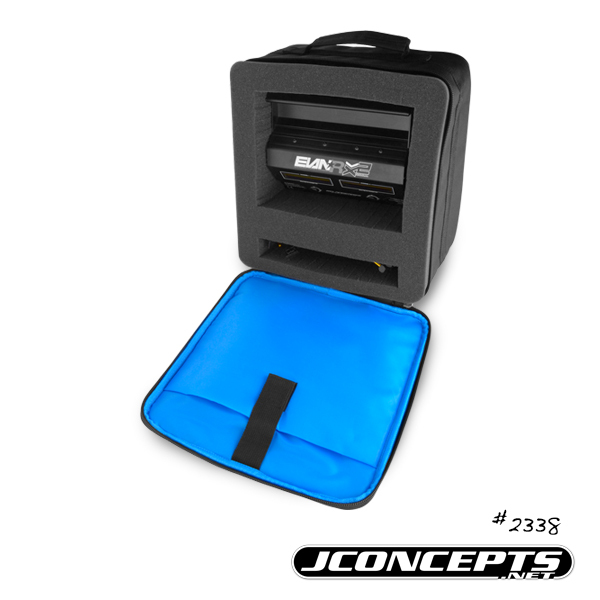 JConcepts has these needs covered with the introduction of the Universal Storage Bag. Designed with travel, cushion, ease of use and protection in mind. The lightweight design consists of a rugged outer bag which has a convenient and easy access zipper closure and inside has a Velcro closure pouch for additional easy access items. Inside, pull and pluck foam pieces are arranged throughout the entire inner liner allowing racers to chose the size and shape of the item needing protection or organization while a lower stage foam insert cushions the bottom. The bag is travel friendly and sized to fit inside most luggage or racing carrier bags. JConcepts Striker logo and graphic imagery is printed on the outside for the most authentic look. Organize sealed fluids, large specialty parts, electric motors, nitro engines, radio gear or new electrical with ease. 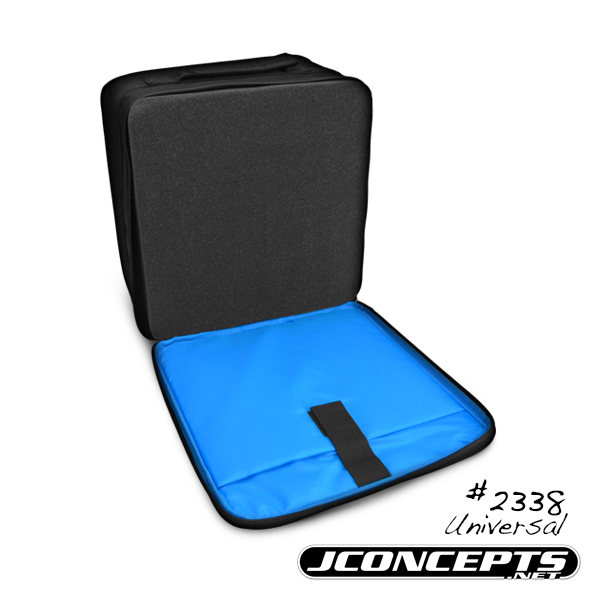 Protect in style, choose the form fitting, convenient Universal Bag by JConcepts.